With summer “officially” over (they’re calling for temps in the 90s next week) I figured it’s time to write up my final review of a summer seasonal. Even though I got sick of this beer after we ordered a keg of it, it was still one of the best summer seasonals I discovered this year. 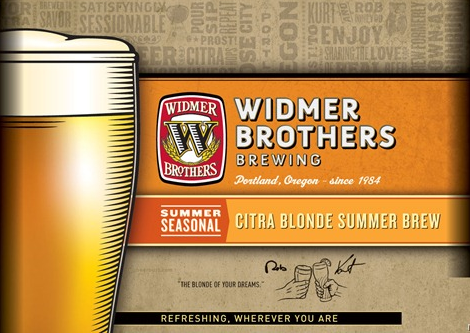 CITRA BLONDE SUMMER BREW is an American Blonde Ale from Oregon’s Widmer Bros. Brewing. This summer seasonal has a perfect for a hot day 4.3% ABV. 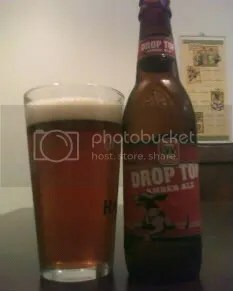 Drop Top Amber Ale is another gold medal beer from the fine folks at Widmer Brothers Brewing. A complex, but oh so drinkable amber ale that has quickly become a favorite of mine.